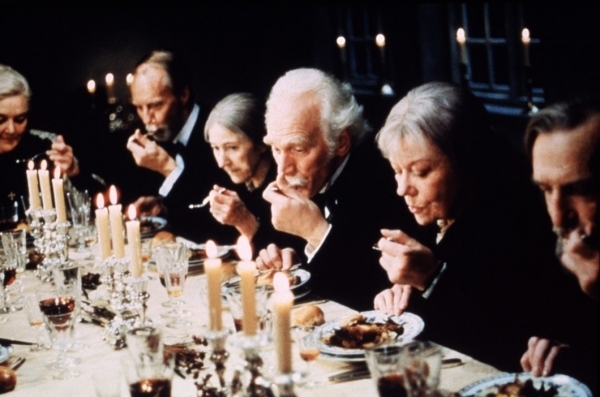 About a month ago I mentioned that I was planning to start an irregular series of posts about foreign movies, and today I bring you the second one, this time about the Danish film Babette's Feast. This is an older film but it was very successful in it's time, winning an Oscar for Best Foreign Film in 1987. It does feel a bit odd calling a movie from 1987 older but it is more than 25 years ago now so it isn't recent! I did like the film but it wasn't exactly what I thought I was going to see. I have no idea why but I always thought that Babette's Feast featured a bigger woman with blonde hair cooking lots and lots and lots of food maybe having moved to London. I can see a vision in my mind of the poster of the movie I was thinking of, but it most certainly was not this one. I have been racking my brains trying to think of the name of the movie I was thinking of so if those vague clues gave you an inkling of the film I thought I was going to see let me know in the comments. I did think maybe it had something to do with a laundrette but when I looked up My Beautiful Laundrette that was something completely different. Anyway, enough about the movie that I didn't watch. Let's focus on the one I did see! 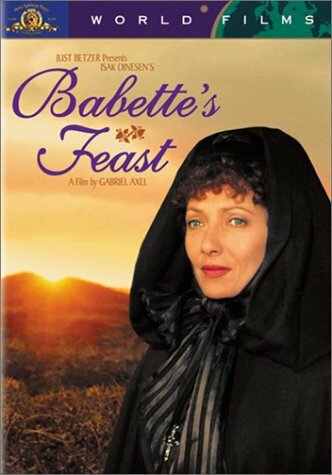 Babette's Feast is based on a short story by Isak Dinesen set in an isolated fishing village in Denmark in the late 19th century. When the story opens we meet two beautiful young women who live with their Lutheran preacher father. He is a very austere man, living a puritanical life where service to god and community are the most important things and there is no need for beautiful objects or anything but the most basic types of food and drink. Into the small village come two men, one a soldier and the other a famous opera singer. They each fall in love with one of the sisters but they leave the village alone and the sisters remain where they are, eventually taking over their father's role as the spiritual leaders of the village. Neither of the men forget the sisters despite the years passing, and in due course one of them sends a woman to them asking for their help. Babette has lost all of her family in the French Revolution and now she just wants to have a home away from France so she becomes the cook/housekeeper. Babette lives with the sisters, living very frugally. Gradually she becomes indispensable, helping all the villagers whenever she can and bringing a small amount of joy to those around her. Babette's only link with France in the years that follow is the lottery ticket that her friends buy for her each year. The villagers are a dour lot. On the surface, it is a very pious community, but running not very far under the surface of are jealousies, both petty and not so petty, grudges held for many years and more serious disagreements. The climate is harsh and, to be honest, so are some of the personalities. When Babette wins the lottery it is close to the 100th anniversary of the birth of the sister's father. They were planning to have a simple celebration of the day but then Babette offers to cook for them - a proper French dinner. It is only as they begin to see the ingredients begin to arrive do they think that they might have made a mistake in accepting her offer. Determined to stick to their religious principles, the dinner guests agree that they will not make any comment about the food that is served up to them. The only guest who initially seems to be appreciating the meal is the soldier who loved one of the sisters who is now is a general. He once had the good fortune to eat a meal at the famous Cafe Anglais in Paris and the meal that he is being served in the film reminds him of that night. Eventually though, the rest of the diners begin to loosen up and enjoy themselves. 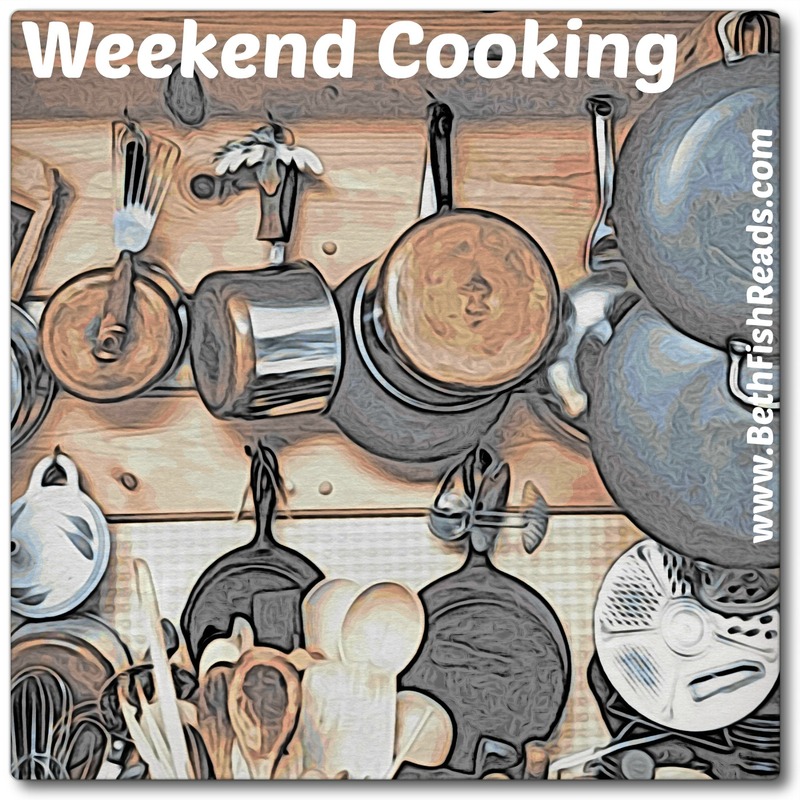 I am sure there is a message there about the power of food to make you feel better which could be seen as a little hokey but there are plenty of movies and books which talk about food in this way. 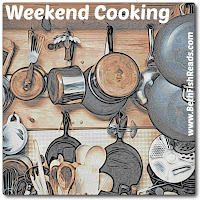 The other message is about the power of art, in this cooking, to transcend circumstance and, in a way, practicality! It is really in the second half of the film when Babette starts preparing the feast and then is serving it up that this movie really came to life for me. Prior to that the plot was a little slow and I wasn't quite sure where it was going to go. Once the cooking starts, you see Babette's passion for food shining through and that enjoyment eventually spreads through the guests as well, enabling the viewer to see that it isn't all doom and gloom between the villagers. They do have strong bonds that just have gotten a little lost through all the years of being together. As the plot progresses even the colour scheme of the film seems to gradually change from a very monotone palette to bursting with colour in the final scenes. This movie apparently made quite an impact when it came out with restaurants recreating the entire menu for special Babette's feast nights. I am not sure that I would necessarily have wanted to participate in such an event. What I found myself pondering as I watched course after course of the feast on the screen is how much fine dining has changed during the last couple of hundred years. I can't imagine walking into a restaurant, no matter how fine, and requesting turtle soup, made from real turtle. Similarly, the idea of the quail is not particularly appealing to me, especially with their little heads tucked into the pastry shell as part of the presentation. Maybe other people could, but I am not sure that I would. Or maybe it is that I am not ready for really fine dining yet! Here is the menu that Babette served up for the dinner party. Someone needs to make a really good trailer for this film. The version with an English narrator speaking is terrible. This Danish version (with subtitles) is a bit long and all over the place but you do at least get a feeling for the film! The film took a while to get going, but once it did, it was a delight! I'm a pretty adventurous eater, but I'll never forget that quail dish with the birds' heads peeking out over the puff pastry. I'm not quite sure if I'd want to eat it. The wine and everything else she served would suit me just fine. It is really the turtle and the quail that was too far for me! That's funny, I just had quail for the first time! I liked it but there were no heads popping out of pastry. More like little cornish hens. Still odd looking. Sounds like a cool foodie movie I would like to see. I absolutely adore this movie. In fact, I weep at the beautiful ending, every time I see it. There is no better film to illustrate the transformative power of generosity -- thanks for reminding me I'm in need of another viewing. I've never seen this one, although of course I've heard of it. I'm not a big fan of that kind of 'classic' French cooking, but sounds like a good film. I watched this film a couple of years ago and really enjoyed it. My husband loves turtle soup. But we live in an area of the country where snapping turtles can be a problem -- eating them, then, can be a solution. I've always wanted to see this, but I'm glad you warned me about the quails. EEEEWWWWWWW.